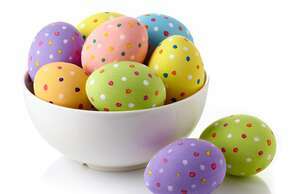 The Oxenham Arms Hotel &Restaurant will be fully open all day from 11AM to 11.30PM every day during Easter. Bar Lunches &Restaurant Lunches serviced from 12 mid day to 3PM last orders. Evening Bar Meals and Restaurant Meals are served from 6PM until 8.45PM last orders. Afternoon Cream teas from 3PM until 5PM. Pr order bookings for afternoon High Teas and Champagne Teas are available from 3PM until 5PM ( must be ordered 24 hours in advance ). Childrens Menu,sVegetarian and Gluten free available also Group Menus. Dogs on leads are welcome in our 1477 Bar and beautiful gardens and we serve food in our bar. 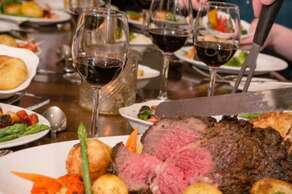 At Easter and busy times we would suggest that you pre book a table by calling Tel 01837840244 or email lyn@theoxenhamarms.com for food reservations. This is our 4th Ports and Cheese Quiz night . Lots of fun. We'll teach you about some fantastic Vintage and Modern Ports and you'll get to sample them all, You will try a selection of incredible cheeses and match them to the Ports, there will be challenges and a quiz, lots of fun and prizes. This could be the best £10 that you ever spent ! You'll need to buy tickets for this event in advance though as spaces are limited to around 30 people. Oh go on become an expert on Port and impress your friends at the next dinner party ! Venue is The Oak Dining Room at The Oxenham Arms arrive at 7.30PM for an 8PM Start. Call 01837840244 Tickets can be purchased by card or cash. 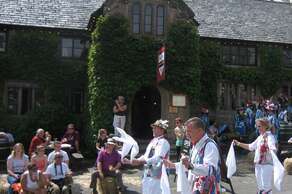 The annual Dartmoor Folk Festival one of the countries largest, takes place every year in South Zeal. Come along to this wonderful event, free entry to the live music and atmosphere of singers, musicians and performers in and around The Oxenham Arms and South Zeal.Paid admission into the marquees in the recreation ground. Plans are well under way for the 42nd Dartmoor Folk Festival which will take place on the 9th, 10th &11th August 2019 in the village of South Zeal near Okehampton in Devon. A packed weekend of concerts, ceilidhs, workshops, song and music sessions, children's festival, craft displays, folk service, Dartmoor ramble and much more. Check out the ARTISTS page and other tabs. Website regularly updated. Available lunchtimes and evenings from Friday November 29th until December 24th. Live band music, Midnight Celebrations and Classics Disco into the early hours. Free entry into the bar or book for our superb AA Rosette 3 Course New Years Eve Dinner for around £35 per person ( choose from a la carte menu )which includes a free glass of bubbly at midnight. Dress code: Everyone Smart Casual please with optional Posh Frocks for the ladies and Jackets and / or Dinner Jackets and Dickies for the men ! Start the evening: In the 1477 Bar from 5PM, Choose from our 50 Gins or your favourite tipple. Live Music: starts at 8PM through to Midnight. Midnight Celebrations: Free glass of bubbly, Party Poppers, Midnight Countdown then the Disco starts until the early hours ! Every 3 months we will host a fabulous 3 course AA Rosette Evening Dinner for just £30 per person which includes a large glass of wine. You will join others in our Oak Dining Room, Monastery Restaurant and Snug for a superb a la carte dinner prepared by our AA Rosette chefs. The Dinner Club menu will be published 2 weeks ahead of the dinner and we will email it out to all of those booked. As spaces are limited there will be a £5 deposit per person. Treat Mum to a wonderful Mothers Day Sunday Lunch with the family at the most beautiful restaurant in Devon. Choose from our superb Mothers Day Menu with starters, main courses and puddings prepared by our team of talented AA Rosette chefs. Main courses will be £11.95 and include options such as Devon Beef, Devon Lamb, Pork and home made vegetarian Nut Roast. 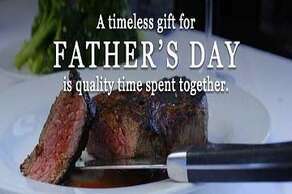 One Mothers Day you may book a table at The Oxenham Armsat any time between 12 mid day and 5PM. Simply telephone us on 01837 840244 to book a table. Families and Children are welcome of course and childrens meals including childrens Sunday roasts will be available. Please note that we only allow customers dogs in our bar and they must be kept on leads. To view our normal Sunday Lunch Menu please select( Click here ) below. The actual Mothers Day lunch menu will be similar to this with some changed options just for that day. Saturday 28th March 2020 The Oxenham Arms South Zeal Classic Car & Bike Show. Our 5th Classic Car &Bike Show and it gets bigger and better every time ! This year we expect around 50 classic vehicles from Jaguars, Mercedes, Ferrari, Austin Healey and Lotus. Entry is £5 per vehicle, all proceeeds to local charities. It is free to see all the classic vehicles, you can have a good look and chat to the owners and drivers. There will be voting forms for £1 you can vote for 1st, 2nd and 3rd prizes. Awards will be given on the basis of combined visitor and judge voting sheets where people will be rating all vehicles on " The vehicle(s) that they would MOST like to take home with them ". On this basis the competition is fair and fun which means the classic vehicles can more or less be in any condition provided that you can get it here on the day "
All proceeds from this event will be split 50/50 between St Marys Church South Zeal restoration fund and South Tawton Primary School. Its TAPAS Night. Our chefs have created a fabulous pick and choose menu of super authentic Spanish Tapas for you to come and savour. Including many vegetarian dishes of course. Amazing tastes, textures and colours in this fabulous Spanish food. No fixed price menu, just book a table, come along and choose what you like from the TAPAS menu. We are open from 11AM on Sundays. Log fires, wonderful atmosphere and superb hospitality in the oldest heritage inn in Devon and Cornwall. Come along for a "Proper" Sunday Lunch. Fabulous traditional home cooked Sunday Roast prepared and served by our wonderful AA Rosette Chefs. We can accommodate tables of two right up to groups of 38 in either the 1477 Bar, Snug, Monastery Restaurant or The Oak Dining Room. We us all top quality locallly sourced foods and yes ! we make our own scrumptious Yorkshire Puddings.